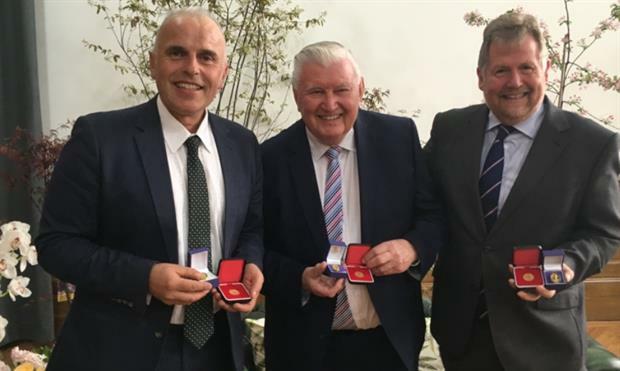 Royal Botanic Gardens Kew head of arboretum Tony Kirkham, Great Dixter head gardener Fergus Garrett and former Pershore College principal and RHS director of horticulture Bill Simpson are this year's RHS Victoria Medal of Honour winners. Kirkham, who has spent his entire career at Kew said at a lunch event held today in the RHS Lindley Hall in central London: "It’s a real honour. I never thought I’d get it because there are a lot of deserving people. I’ve had an amazing career working in horticulture with lots of opportunities." He said he was the proof that if you worked hard at horticulture you could have an exciting and even glamorous career and despite being retirement age he did not want to stop work. "I flew in from Borneo where I was filming with Judi Dench for an ITV programme about the rainforest to collect this award. They say if you get the right job you never have to work and I got that right job." He said the industry needed more gardeners and horticulturists. "I left school without any qualifications. If you work hard it’s a glamorous occupation," he said. Garrett, who has been head gardener at Great Dixter since 1993 is positive about the future. "There’s a very good generation out there, the succession is out there," he said. "They just need to be helped by us. All of us have the responsibility to bring the next lot through." He said the medal was a reward for years of hard work and not just his at Great Dixter. "You’ve got to share it with all the people who have been your mentors and have been by your side and your family and friends that are all in it together." Sarah Wain is another happy horticulturist who is nurturing the next generation. With her West Dean Gardens co-head gardener and husband Jim Buckland, she created a fund to establish a trainee horticulturist post at the garden, prior to their retirement last week. 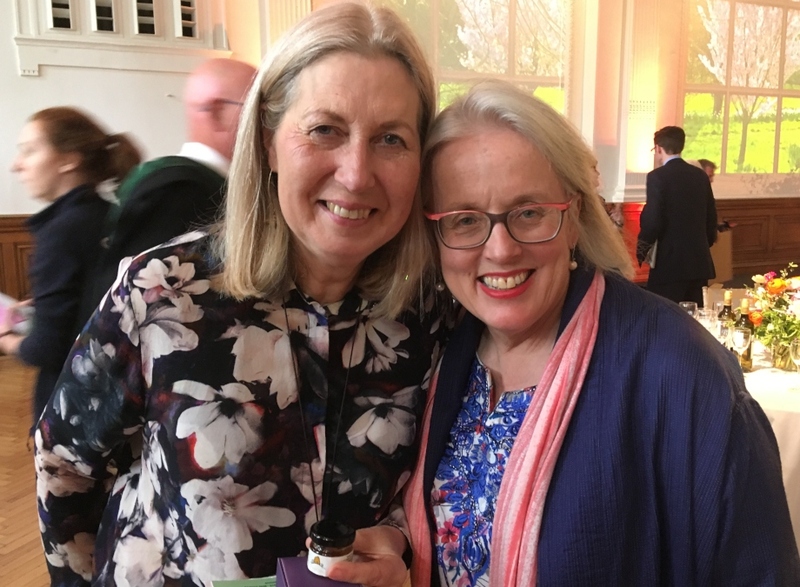 She was surprised to be reunited with friend and former colleague director of London social enterprise Roots and Shoots, which trains young people in horticulture, Linda Phillips, at the awards. They both became an RHS Associate of Honour, taking the number of women in the list of 100 associates up to 17. Mike Buffin and Bryan Goodey were also made associates. Wain said she felt "elated and thrilled" and Philips "overwhelmed" at the honour and both were excited to learn they were co-winners. "We met shovelling manure in separate pits at Kew and we bonded over food," said Wain. The two used to organise parties and bake cakes for Kew staff. They also spoke of how much they have enjoyed their careers. The Veitch Memorial Medal was awarded to Ursula Drioli, Fabio Garbari, John Tan Jiew Hoe and Rachel Lever. The Lawrence Medal for the best RHS show exhibit went to Southfield Nurseries and the Reginald Cory Memorial Cup for the production of new hybrids went to David Kerley of Kerley and Co. 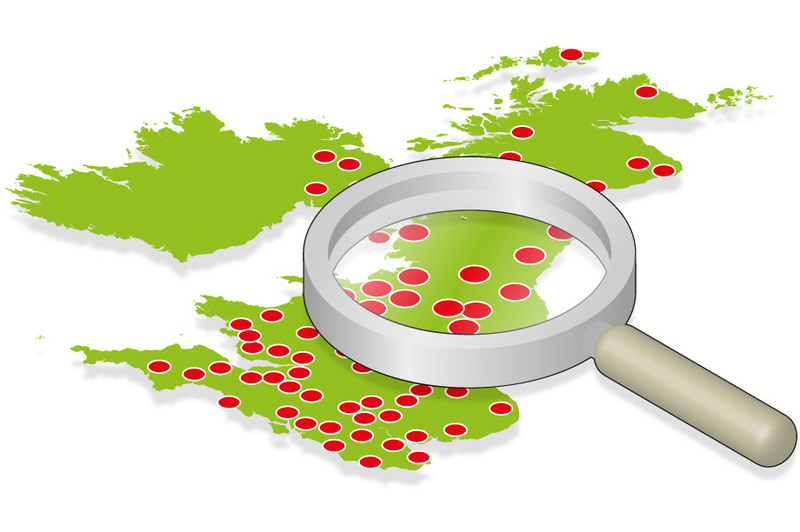 This year a new award was introduced for horticulturists under the age of 35. The Roy Lancaster Award went to Graham Gunn. Those to achieve the RHS’s hardest qualification, the Master of Horticulture, this year were Chloe Anderson, Matthew Barlow, Victoria Davies, Martyn Falconer, Richard Gatenby, Charles Gaunt, Martin Granger, Kristopher Harper, Kyle Haynes, Lynn Heslop, Rebeca Keeble-Payne, Steve Lannin, Thomas Maskell, Janine Potter, Edward Prouse, Catrina Saunders, Jack Sharp, Ignacio Silva de la Iglesia and Suzanne Topping.